Mangazeya (Russian: Мангазе́я) was a Northwest Siberian trans-Ural trade colony and later city in the 17th century. Founded in 1600 by Cossacks from Tobolsk, it was situated on the Taz River, between the lower courses of the Ob and Yenisei Rivers flowing into the Arctic Ocean. The name derives from a Nenets ethnonym Monkansi or Mongandi. Russian settlers of the White Sea coasts of Russia (pomors) founded a route along the Arctic coast to Arkhangelsk to trade with Norwegian, English and Dutch merchants. 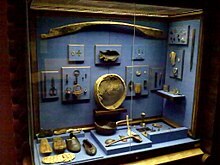 Mangazeya accumulated furs and ivory (walrus tusks) around the year to be shipped out during the short Northern summer. Trade also occurred along the Siberian River Routes' Northern Route. It became "a virtual Baghdad of Siberia, a city-state, all but independent of the Russian Empire in its wealth and utter isolation." 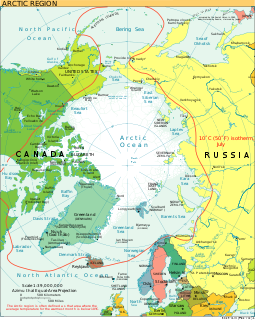 The Northern Sea Route was forbidden in 1619 under the penalty of death and the city closed to outsiders: navigational markings were torn up, posts established to intercept anyone who might attempt to get through, and maps were falsified. The state was unable to collect taxes, and there was a fear of English trading penetration into Siberia; furthermore, "Mangazeya had aroused the envy of inland merchants working out of the Urals, Tyumen, and Tobolsk, who saw it siphoning off commerce that would otherwise have come their way." The city was finally abandoned following the catastrophic fire of 1678, after which the remaining population was evacuated to Turukhansk (now Staroturukhansk [ru]) at the junction of the Yenisei with the Lower Tunguska, which was known as New Mangazeya until the 1780s. 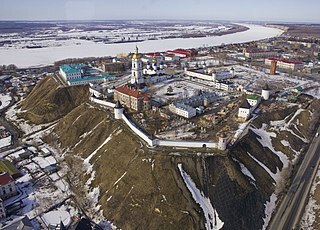 The location of original Mangazeya and the Pomors' Northern Sea Route were forgotten until the 20th century, when archaeologists discovered remains of a wooden Kremlin and a Gostiny Dvor on the site of Mangazeya. There is a 220 kV electrical substation owned by Gazprom with the same name nearby. ^ E.M. Pospelov, Geograficheskie nazvaniya mira (Moscow: Russkie slovari, 1998), p. 406. ^ George St. George, Siberia: the New Frontier (Taylor & Francis, 1970), p. 263. ^ Benson Bobrick, East of the Sun: The Conquest and Settlement of Siberia (Heinemann, 1992: ISBN 0434928895), p. 56. ^ Bobrick, East of the Sun, p. 56. The Yenisei also Romanised Yenisey, Enisei, Jenisej, is the largest river system flowing to the Arctic Ocean. It is the central of the three great Siberian rivers that flow into the Arctic Ocean. Rising in Mongolia, it follows a northerly course to the Yenisei Gulf in the Kara Sea, draining a large part of central Siberia, the longest stream following the Yenisei-Angara-Selenga-Ider river system. The Samoyedic or Samoyed languages are spoken on both sides of the Ural mountains, in northernmost Eurasia, by approximately 25,000 people altogether. They derive from a common ancestral language called Proto-Samoyedic, and form a branch of the Uralic languages. Having separated perhaps in the last centuries BC, they are not a diverse group of languages, and are traditionally considered to be an outgroup, branching off first from the other Uralic languages. Verkhoturye is a historical town and the administrative center of Verkhotursky District of Sverdlovsk Oblast, Russia, located in the middle Ural Mountains on the left bank of the Tura River 306 kilometers (190 mi) north of Yekaterinburg. Population: 8,820 (2010 Census); 7,815 (2002 Census; 8,973 ; 10,900. The Yenisei Gulf is a large and long estuary through which the lower Yenisei River flows into the Kara Sea. Siberia Governorate was an administrative division of the Tsardom of Russia and then the Russian Empire, which existed from 1708 until 1782. Its seat was in Tobolsk. The governorate was located in the east of Russian Empire and bordered China in the south, Kazan Governorate in the southwest, and Archangelgorod Governorate in the northwest. In the north and the east, the governorate was limited by the seas of the Arctic and Pacific Oceans. In therms of the area, Siberia Governorate was by far the biggest among all the governorates, as it included areas in the Urals, Siberia, and the Russian Far East some of which were not yet even settled by Russians at the time. The Thames was a British steamship lost in 1877 while exploring the western part of the northeast passage.